We mostly come to hear of new acts because of their music on social media, or they contact us here at Dublin Concerts and when we love what they do, we write about it. This week’s Irish Artist of the Week came about a little differently, in the shape of a shared love for a rare limited edition chocolate bar of all things. After such a massive heads up about where to find said bar, we just had to give his music a listen and we loved it as much as a Yorkie Peanut bar. 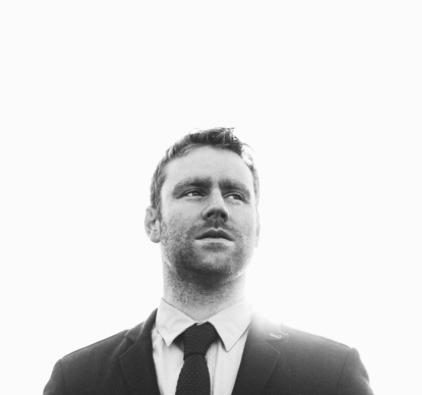 Fiach Moriarty is this week’s Dublin Concerts Irish Artist of the Week. Fiach’s musical journey began many moons ago when, at the age of five, he began playing violin, moving on a few years later to guitar and then began the songwriting he is so renowned for. 2010 saw the release of his debut album So I which charted in the Irish Top 100 and led to a succession of support slots with some of Ireland’s music royalty. So I was a real mixed bag of Irish Folk, Rock fused with a dollop of funkiness. But 2014 has seen a growth in Fiach. New songs and a new album are set to be released next month. The Dublin native has sharpened his writing pencil and writing skills and produced, from the taster we have, a superb piece of work. Tackling some sensitive subjects, ‘The Revolution’ will open your eyes to a modern look on important historical happenings of our country’s past. A real growth in the 5 years since his debut has shown that he really is (to steal a title of one his songs), ‘Married to Music’. With a plethora of gigs on the horizon, including a big album launch gig on the 24th April in The Button Factory, you really can’t miss one of these shows. You can find more information about Fiach and his music over on his website, Twitter and Facebook.